If your OST file has gone corrupt in the middle of work and you are looking for some potential tool that can help you to resume work then your search ends here at our OST to PST software. This software recover OST file from any kind of corruption issues in a much secured manner and converts it to ready to use PST file format. "To add feather in its hat" tool has been developed in a way that it supports all versions of Outlook including 2019. 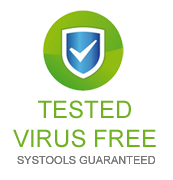 This tool is made especially to provide guaranteed results in OST file repairing process. 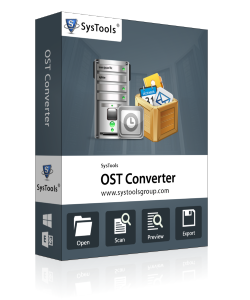 Its advanced technology works straight onto the corruption affected or damaged areas of OST file and perform an impeccable Convert OST to PST process. Convert OST file in PST, EML and MSG file formats – If you choose this tool then, you can perform OST emails recovery in healthy PST, EML and MSG file formats. Support for all versions of Outlook and Exchange – Provides the ability to perform fluent recover OST file with all the versions of Outlook and Exchange. Recovery of OST files during all complicated issues of corruption – On the selection of this tool, you can recover OST data as healthy PST after all critical errors of OST database corruption. Smooth process in all Windows OS – You get smooth export OST to PST results in all the editions of Windows OS. Ability to recover unlimited OST files data as healthy PST files – The tool gives the ability to recover limitless database of unlimited corrupted OST files of one PC as healthy PST. Yes, it's true. You can also try the performance of this tool by using Free Demo Version. This demo version provides you the preview of recovered items of OST file on computer screen. Entire database of OST file can be recovered OST file with all including metadata with complete security. After trying the demo version, if you wish to experience the working of this tool without any restriction then, you need to purchase the full version. This full version allows you to recover and save all the items of OST file as new PST files. If you have any queries about recover OST file process then, you can contact executives of technical support department via Instant Messaging, Skype, and Emailing.